The Guardian reviews the book Emily Brontë Reappraised by Claire O’Callaghan. It is interesting to see that neither the book nor the newspaper use a verified image of Emily. Two hundred years after her birth Emily Brontë is still remembered as an oddball, a people-hater and the weirdest of three weird sisters. But a book published this week aims to rehabilitate the reputation of the author of Wuthering Heights, one of the greatest novels ever written: she may have been shy and reserved but she was not strange and should be seen as a woman ahead of her time, the academic Claire O’Callaghan argues. 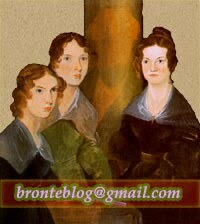 O’Callaghan said Brontë’s reputation was entirely carved out by others, a lot of it based on the writings of Charlotte, who was responding to criticism of her sisters Emily and Anne. “She adopted the strategy of appealing for pity by presenting her sisters as a bit weird and a bit strange, people who did not really know what they were doing,” said O’Callaghan. O’Callaghan said Emily had been portrayed in many ways, usually negative. Sometimes she was “a staid, old-fashioned, people-hating spinster who roamed about the Yorkshire moors alone with her dog” or “a painfully shy and socially awkward girl-woman who was sick whenever she left home” or “she’s a stubborn and defiant woman who willingly withheld assorted physical and mental ailments, or an ethereal soul too fragile to endure the real world”. O’Callaghan said it was true Emily was shy, or reserved, and craved solitude and enjoyed getting out the house walking on the moors with her dog Keeper, a large mastiff. But this did not make her odd. O’Callaghan’s book also explores how Emily might fit in today, arguing she would be more at home in a more accepting, tolerant, feminist society. Brontë’s only novel was Wuthering Heights, the violent and passionate story of the relationship between Catherine and Heathcliff. We haven't read the book yet but while any effort to reach the real Brontës has our admiration, it is also true that Emily's - real or artificial - reputation has, if anything, helped her 'popularity'. And we can't forget that she was a 19th-century woman - we may not 'stigmatise' people in the 21st century (even if we actually do) but they most certainly did back then. A recluse woman writer who penned a book like Wuthering Heights never had it easy. That is not to say that it is fair, simply that it's understandable. Political correctness can't be retroactive and we have to accept that. France Culture has a podcast (in French, obviously: Le Journal de la Philo) and a lengthy article on Emily Brontë and her bicentenary. D’Emily Brontë, il nous reste des poèmes, publiés un an avant sa mort et parce que sa sœur l’avait voulu. Il nous reste des traces de ce qu’elle a écrit, mais pas d’elle comme auteure, de ses processus, de ses mobiles, de ses affects qui l’animaient. De la même manière que ses personnages ont pour ressort le mystère, il en est de même pour son geste d’auteure : qu’est-ce qui a fait qu’elle est devenue auteure ? Qu’est-ce qui fait qu’elle s’est autorisée à l’être ? Et qu’est-ce qui pourrait nous l’expliquer dans ce qu’elle a signé comme auteure ? The Imaginative Conservative recommends '10 Poetry Books for Graduates'. British Film Institute celebrates the 25th anniversary of The Piano. Cracked has selected '5 'Lovesick' Fictional Characters Who Are Really Just Dicks', including Mr Rochester. Despite their predilection for casual racism, I love classic novels. I've spent many a night on the couch curled up with some literary oldies, and the Bronte sisters always came through. Charlotte Brontë's Jane Eyre (which has gotten many, many film adaptations) is one of the first classic romantic novels I'd ever read in which both the female and male leads were described as straight up ugly. As a young lady getting smacked in the face by puberty, I found that intriguing. Throughout all the twists and turns and trifling side chicks, I kept rooting for Jane and Mr. Rochester to beat the odds and end up together. Two 5s coming together to make a 10. It oddly won me over as a preteen. The Irish Times interviews writer Caroline O’Donoghue about her debut novel Promising Young Women. Times Leader tells about a recent book sale at Osterhout Free Library (Wilkes-Barre, PA). A Novel Library and Girl with No Selfie post about Jane Eyre. The Library Ladies review My Plain Jane by Cynthia Hand, Brodi Ashton, and Jodi Meadows. When in Doubt, Read! posts about the 1974 book H: The Story of Heathcliff's Journey Back to Wuthering Heights by Lin Haire-Sargeant. On YouTube Lucy the Reader discusses the Brontës and beauty as part of this month's book club read of Jane Eyre.